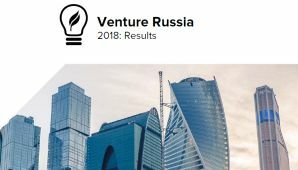 Kendrick D. White, the founder and CEO of Nizhny Novgorod-based Marchmont Capital Partners, starts with this series of postings sharing his thoughts of where, in his opinion, Russia should go to reinvent itself for the 21st century. The Russian Federation today faces an extraordinary opportunity to change its historical development pattern and create for itself a new unprecedented future of prosperity and wealth for its vastly disbursed and diversified population. This has never been possible before. In order for Russia to take advantage of this historic opportunity, however, the country, its leaders and its people face important an important choice on how they should proceed to develop Russia’s economy in the 21st century and what role the nation will play in the rapidly integrating global economy. The choices are (i) to continue to cling to an antiquated 18th century commodity model of economic development, relying on a system of highly concentrated ownership over monopoly resources and assets, or (ii) to embrace a development model based on leading the world through the creation of innovative solutions to global problems, together with other leading innovation nations. 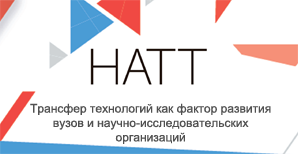 In other words, Russia could foster the development of an Innovation Economy model. The recent global financial crisis has helped stimulate the intellectual thinking process in Russia on questions of its future development. As a result, Russia’s leaders appear to have made the choice to push the nation to become an innovation leader. However, it is not clear if the rest of Russia’s political and economic elite understand the importance of this choice, and the requirement that they must directly support it as well. Ultimately, it is their role to realize this incredible opportunity. Further, the unprecedented freedom now given the people in Russia to achieve this new future is completely reliant upon each and every person taking individual responsibility for their own actions in making this dream a reality for themselves, their families and their local and national societies. With freedom comes the responsibility to act. No passive nation can become an innovation leader. My personal interest in Russia started in my childhood in Florida, where my mother had the opportunity to study art and painting with a wonderful Russian woman named Tatiana Walker, a famous Russian artist who by chance was living not far from our home with her American husband. I was raised in the U.S. and became aware of the fragile state of our species and our planet at the height of the Cold War. Every month in our school, we were drilled to prepare for incoming Soviet Union nuclear bombs which could be sent at any moment to destroy us. Each individual of that era had similar experiences and propaganda, creating a generation around the globe worried that everyone was one red button away from global destruction. Knowing this Russian woman in our city, and how much my mother loved and respected her, I began to wonder how and why we had come to such a self destructive moment in our civilization’s history. Tatiana loved her Russian culture and missed her family and homeland, but she hated the totalitarian regime of communism which stifled freedom and creativity, and was killing the Russian spirit. Seeing Tatiana Walker, and how my family treated her and listened to her description of ancient and modern Russian culture, I began to wonder what lay at the root of such a global conflict. I decided that to learn the answer, I should study the differences between our capitalistic, free market economy regulated by open democratic institutions, and the highly regulated and controlled system of Marxist Leninism resulting in the totalitarian Communist Command Economy, a 20th century, modern aristocracy in disguise. At a young age, I decided to become an economist. As a young American, I enjoyed a nation allowing a wide range of freedom to its citizens, and experienced first-hand the benefits of an open, free market democracy which profoundly shaped my perspective of the world. Concurrently, I began to study different economic and political models, such as those in the USSR, Communist China, various states in Latin America, as well as various Asian countries practicing state capitalism and dictatorship. Through these studies I became convinced that a system of market driven economics regulated by numerous democratic checks and balances was not perfect, but was the most effective system for allocating economic resources and regulating society. In such a system, citizens were motivated to work hard and become as productive as possible in the accumulation of wide-spread wealth. Global society had not yet evolved its thinking far enough to allow the creation of a more effective philosophical socioeconomic system in which individuals could manage themselves. I completed my degree in Economics at Stetson University. My final thesis analyzed Karl Marx’s mistaken generalized assumptions on human psychology, written during an exchange program at the London School of Economics. I returned to the United States to start a banking career at LaSalle National Bank in Chicago, Illinois. Before long, I “climbed the corporate ladder” at LaSalle Bank and ultimately built a career in Strategic Planning, Cash Management and Mergers & Acquisitions (M&A), helping the corporate owner of LaSalle Bank, ABN-Amro, to build a dominant position in middle market banking in the U.S.
At the same time, I completed my MBA degree at the Kellogg Graduate School of Management at Northwestern University, through their Evening Management Program while working full time at ABN-Amro LaSalle Bank. After completing my MBA in 1990, I wanted to shift my career at ABN-Amro to Eastern Europe. I worked to convince the bank’s top management to send me to Russia to develop a branch of the bank in Moscow. This decision could help to bring liquidity and finance to a new generation of small and private business owners which was just beginning to develop in Russia. Unfortunately, the bank’s management pointed out to me that: (i) I had never been to Russia, (ii) I did not speak a word of the Russian language, (iii) I had no connections in Russia whatsoever, and finally, (iv) it was far too risky for a western bank to develop any activities in Russia at that time! In spite of these hurdles, and inspired by a book entitled “Window of Opportunity,” written by a Harvard economist together with a young Russian economist, Grigory Yavlinsky, I took a two year “leave of absence” from my work in ABN-Amro and moved to Russia. My work was part of an American technical assistance program for the city of Nizhny Novgorod, to help support the development of a prototype market economy in that region. Seventeen years later and I am still here!